RNP provides to its clients a modern and high-performance network service, allied with communication services and distance collaboration applications portfolio that supports its education and research activities. It is present in all states, through 27 Points of Presence, which form the backbone of the national academic network, the Ipê network. It is an optic network infrastructure, to which 1.237 campuses and units in the capital cities and in the states’ countryside are connected and through which they exchange a large volume of data and information in a worldwide level. 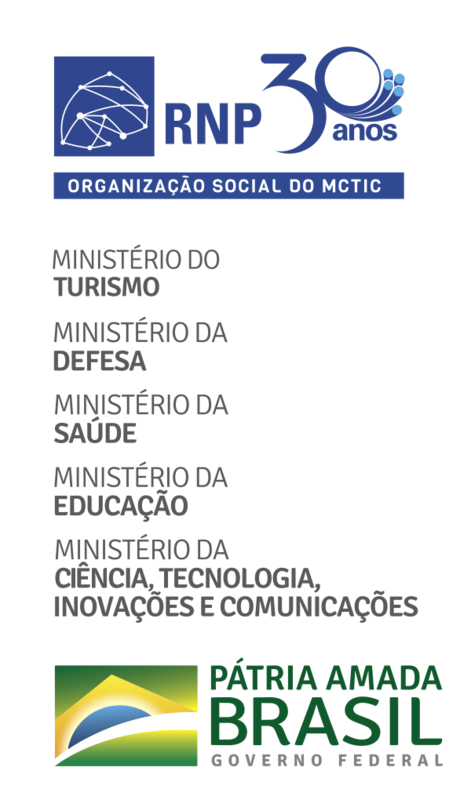 Such organizations that make up RNP are the main higher education institutions and producers of knowledge and innovation in Brazil, encompassing mostly universities, institutes and research units, at a federal and state level, teaching hospitals and museums. In order to remain in a groundbreaking position in experimentation and use of technology, RNP fosters the research, the creation and the development of protocols, services and applications in Information and Communication Technologies (ICT) to be used inside the Ipê network and which facilitate the communication within the global academic community. For such, it makes P&D programs, in partnership with research groups connected to network engineering and the multiple fields where advanced ICT applications arise. Thus, the knowledge, qualification of people and innovation of products are expanded, allowing the incorporation of the most promising results into the production services portfolio. It is only with a rich offer of advanced platforms and applications that it becomes possible to meet the demanding requirements from specific communities, such as telemedicine, biodiversity, environment, distance learning, high culture quality videos, among others. In order to support all such disciplines and uses, RNP promotes human resources engagement in ICT, causing the technology experts and managers of the institutions to be able to keep permanently up-to-date and prepared for the innovative use of the network.